Voting is one of the most precious rights we have as Americans. Of course, it was not always that way. Over time, many people in our nation fought - and some gave their lives - for the cause of equal voting rights for all individuals. That tells us something about the power of the vote. Like all hard-won rights, voting is something we should not treat lightly. It is a right we should respect, and it is a right we should exercise.  If you are no longer serving a sentence, or no longer on parole or probation..., you CAN vote in NJ by completing a new voter registration form. If you have any questions, contact your County Commissioner of Registration. Use this simple form to electronically submit detailed descriptions of any difficulties you might have experienced while voting and/or accessing your polling location. With the passage of the "Help America Vote Act of 2002" states are required to actively integrate persons with disabilities into the electoral process. To assist State Board of Elections in this process, The United Spinal Association, a national veterans service and disability rights organization, has produced the booklet titled Disability Etiquette. This booklet was designed to help its readers in becoming more aware of what is appropriate conduct when interacting with a person with a disability. Public Law 2005 Ch. 146, which took effect on July 12, 2005, states that a voting advisory committee must be established by the county executive or governing body and shall be composed of 7-11 members. The membership of this committee must be composed of 4 county election board members and 3 public members; a representative of the county executive or governing body, at least one person with a disability, and at least one person with ADA training. The committee would be responsible for physically inspecting each polling place with the assistance of a member with a disability. The committee shall consult with the county board of elections in reference to any inaccessible polling places within the county. The committee shall also receive notice from the Division of Elections of any complaints regarding inaccessible polling places. The voting accessibility advisory committee will also be responsible for filing the polling place report, including a list of any inaccessible polling places, with the Office of the Secretary of State/Division of Elections and the county board of elections by May 15 of each year. This report will be reviewed by the Secretary of State by July 1 of each year.